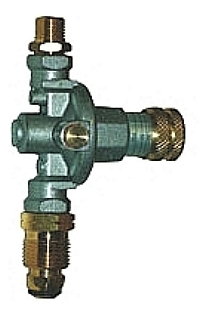 PRODUCT: Sievert #3061-23 14-57 PSI Adjustable Propane Gas Pressure Regulator, with Hose Failure Test Valve, POL Inlet Fitting. 9/16-18 Left-Hand MPT Outlet. Price/Each.